Highly-actionable SEO Tips for Highly-motivated Owners! Abiding by SEO best practices is an important part of any small business's marketing strategy. Limo U team member, Reese, took some time to review the tactics he believes are absolutely necessary for limousine and ground transportation companies to implement right now. Watch the video above or read the transcript below for more information. Good morning everyone. I just want to start off by saying thank you for being members of Limo U. This is my first Wednesday Drive so if I seem a little nervous or maybe a little scatterbrained here today I hope that’s alright. What I am going to do here today is basically go over some basic SEO tips that you can implement today if you need for your website. We had Boot Camp about a week and a half ago and I ran into a couple of business owners who didn’t really have any idea of how to execute any actionable SEO items. So in my brief time I tried to go over a few things that you could kind of do on the spot. So what I really wanted to do for you today is to drive value. That’s what we are going to do today. I’ve got quite a bit to go over so I am going to dive right in. My first tip for you that you that you can execute today is to basically on your website you have just a few pages to really drive home your message. Well, you are only going to want to optimize each page with just two or three keywords. Why that is important, well, you’ve got to be focused and clear with your message and really even your homepage should only focus on two, maybe three keywords. So with that said, you need to structure your keywords logically. What I would do is grab a whiteboard and draw out your website and all of its pages - just kind of branching everything out the way it should be or the way you have it currently. Step back and look at it objectively. Assign keywords to the various pages behind the logic you have assigned to your website. Those pages should be more specific the further down they go. So subpages are probably much more specific. A good example would be for the ground transportation industry I would say you are probably talking about the specific type of vehicle on that page - so you’ve got your sedans, you’ve got your buses, buses for ground transportation companies (that might be a long-tail keyword you may have very far down the structure of your website. Whereas your homepage probably just has ground transportation and then the geographic location of the city that you are in. I will get to that in a little bit. This is basically called silo structure. Silo structure creates a logical structure of your site by basically assigning this is what this section of the website is about, this is what this section of the website is about, etc. So in creating silos for each keyword, you are not diluting your keyword value throughout the rest of your website because you are focusing in each individual keyword. Another great tool that you could do right now is put the keyword in the first paragraph of the page. This should help you not only get to the point of what you are talking about, but it also tells the search engine that is indexing your site yes this is exactly what the website is about. My next tip would be to have enough content for a search engine to index. Really a minimum of 500 words and I wouldn’t really do more than 750 just because you are not likely to find a lot of readers on the Internet that are reading that far into your content anyway. But a minimum of 500 words is required by most search engines to be indexed at all. If you have a webpage that has 150 words on it and a lot of photos, you’re not going to get found on the Internet, or at least the search engine. So very important to have enough content there for a search engine to even be able to find you. So definitely go through your website to make sure that is the case. Another point I want to touch on is keyword density. A few years ago it was a really popular tactic to just stuff as many keywords into your copy as possible. Search engines have gotten a lot smarter since then. So be careful with how many keywords you are stuffing in there. I would say a proper density is 10 to 12 percent of your total content. If you have 500 words on your page you are looking at 5, 6, 7 times of mentioning the keywords. That’s all you want on that page. But we are going to talk about how to maximize those 5, 6, or 7 keywords in just a second. Moving down my list here… When you are updating a page on your website, make it a substantial update because if you are updating your website page just making small, grammatical mistakes like correcting those, if you do that enough times a search engine is going to penalize you for that because it looks like you are updating it so your basically updating a date on the website page itself. Because while search engines do like when you are updating your content, it likes for those updates to be robust and substantive. Please whenever you are updating it, make sure you are updating for something very robust. I think it is more to the point that when you are creating that web page, make sure that you have finalized everything, that you have skimmed through everything, and that you make sure that everything is the way that you want it. Then leave it alone for a little while and give it time to be indexed by the search engine. Anyway, like I was talking about earlier using geographic modifiers, these are really important for using short-tail keywords. So what a short-tail keyword is, it is that very, very short and very broad topics. In the ground transportation industry, it is probably just ground transportation. You have to keep in mind what other people are typing into Google or Bing. I would also go for limousine company, limo company because a lot of people probably don’t know how to accurately spell limousine so they are going to opt to just spell limo. So limo company would be another great short-tail keyword. You can add geographic modifiers to add a whole lot of SEO value. 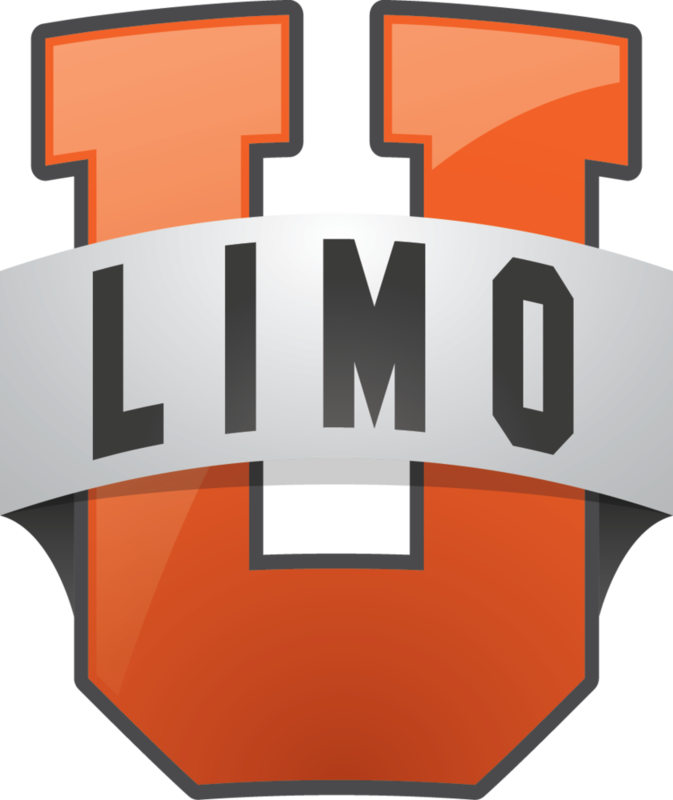 If you are in Riverside, CA like one of our Boot Campers was, I would use limo company in Riverside, CA as part of my short-tail keyword on a linked page on my website. Keep that in mind and make sure you don’t add geographic modifiers to long-tail keywords, which is basically any keyword that takes three or four little words to describe or define it. There is enough going on with that keyword already that you aren’t going to want to bother with using a geographic modifier. Definitely leave that for short-tail keywords. It is really easy to find out which keywords you should be using. You don’t have to do any guesswork. I actually have a lot of tools here that I am going to reference. For homepage stuff, I would definitely recommend Yoast SEO. Keyword planners are great. Moz has a great tool. You have to pay for it now, but it is definitely worth the investment. You could use a free one though that is called Keyword Tool which you can find at keywordtool.io. It is a great one. You can use Google Trends, that’s a free tool through Google where you can type in different search terms to find out how many people are actually searching that term online. It even gives you a great little timeline so you can see exactly where it’s trending or where it dropped off or where it spiked up again. Definitely use that tool. That is a very powerful tool offered by Google itself. So take advantage of that. Outside of that you can do competitor research to find out what your competitors are ranking for with SEMrush. There is a free version of it, but I recommend the paid version because it is a lot more powerful. And it includes things like your keyword planner, field research, you can look up cost per click if you are doing Adwords or anything like that. Very powerful tool and very much worth your investment. Definitely look into that. Another great one is called Posirank. Definitely look into that company as well. They do a lot of great stuff with backlinks which I am going to get to here in a moment. And Google Analytics which is a basic tool that can provide you with a lot of very pertinent information based on your website. Setting that up can be a pain but I am more than happy to help anyone out there that needs help with that. Those tools, all of those tools, are designed to help you focus in on getting ranked and some of you have great ranks already, some of you didn’t. But ranks are a very fluctuating thing. You don’t just keep them. You can get them and lose them just as easy as you can get them. So it is very important to stay cognizant of where you are with your rankings. Even if you are ranking really well right now, you aren’t guaranteed tomorrow. So going on from there, I am going to move on to using synonyms for keywords. All of these search engines out there like Bing and Google have really, really extensive synonym libraries that they pull from so don’t be afraid of doing some keyword stacking. Basically that is where you are setting up a keyword like ground transportation limousine and branch out from there. So don’t be afraid to expand from there and mix it up a little bit because Google and Bing are going to see that as the same word anyway because they are so closely related. This helps you not sound so monotonous. Like if you say ground transportation four or five times, you might want to mix that up with limousine company at some point. So don’t be afraid to do that because you’re not going to lose value by doing so. Another great thing and it’s funny because it is one of those skills that is easy to learn but difficult to master. But consistently blogging is going to be the biggest benefit to your website if you aren’t already doing it. Here’s why: You basically get to attack long-tail keywords that you couldn’t fit into your website’s main pages and you get to consistently update your website. Two great things that search engines love. That’s the biggest things they want. They want to see that your website is updated consistently, not random. And they want to see that you are going after a lot of keywords in your industry. You can do both of those things with blogging. It’s important though to not just fling content at the wall and see what sticks. What you really want to focus on is creating a roadmap of content through the month or the quarter. I would definitely recommend doing quarterly roadmaps. That way you can kind of define what keywords you want to go after and what content is important to you and that you aren’t just sitting down somewhere with a cup of coffee thinking “what am I going to write today?” “Oh, well my calendar says I am going to write about X so there I go.” It takes a lot of the work off of your day to already have that road mapped out. Definitely be blogging out there. And pay attention to meta descriptions. So, if you have ever seen a meta description, you have but you don’t know what it is, it’s the gray text that appears underneath the link on a search engine results page. That text is editable by you. What you can do with that is you will have a very limited amount of characters. You can put your keyword in that meta description and then from there, that will help with the search engine to find that “hey this page has that meta description, so that pages must be about this.” What I would do for that reader is include a really concise call to action. Kind of to say hey, if you are looking for this, I’ve got it right here, and hopefully this is the keyword. So editing those you can do that in Wordpress with Yoast SEO very easily. With Squarespace I believe it is under the index of each individual page. If you need help with that and you are in another CMS that is not Wordpress or Squarespace, please leave me a comment and I will be happy to research how to edit those and I will get back to you. Those are very important because if you don’t put anything in there, the search engine is just going to pull the first bit of content that is on the page. And sometimes that is not very relevant and sometimes it is HTML code and that looks really spammy. You are not going to want that. Pay attention to those. The next biggest tip I can offer you is using headers to your advantage. Headers are dictated by what is called a CSS. CSS stands for a cascading style sheet. Cascading style sheets are basically a bit of code that defines what all that big text that is on a website that is not the main font of the website, what that looks like. Those are really important for SEO value. Let me tell you why. Basically there is a hierarchy to them. They go from H1 to H5. H1 being the most important; H5 being not as important. Those header wraps around text should be used with keywords but you should only use one H1 on any given page. One H2 on any given page and maybe a couple of H3s on any given page. Further down from that, I’ve never really even had to use an H4 or an H5 maybe ever. And if I have, it was only once. One H1, one H2, and maybe 2 H3s on any given page will add incredible SEO value to your website if you are using it with your short-tail keywords. Go to your website, find your main keyword and wrap an H1 around it at the top of your website. That will help you a lot today. So make sure you are using those. Just one H1. I have seen plenty of websites that use a whole lot of header tags and they look like crap. It makes it impossible for a reader to even get the message of what your website is about and search engines really look at it as a spammy model of keyword stuffing and you will get penalized and won’t get any value out of it at all. The next great bit of SEO advice I have to offer is that images need to have alt text and links. Alt text stands for alternative text. Whenever you search for an image online, that’s how images get pulled into the search because Google’s search crawlers can’t actually see an image. You have to tell them what the image is. Now, what you can do is you can put the keyword into the actual alt text of the image. So, if I am a limo company and I had pictures of my sedans on my website, what I would do is I would probably put sedan limousine company and your geographic location - let’s just say Riverside, CA - that would probably be my alt text - sedan limousine company Riverside, CA. And you wouldn’t separate those with spaces, you would need hyphens between them. The reason that’s important is because spaces aren’t really seen by search engine crawlers. The hyphens registers as the end of each word, so that’s just another little tid bit to keep in mind. But the alt text helps to tell the search engine what the image is about. So if I am looking up something online it will rank your website higher because Google knows that you write about sedans and that you have a limo company. It really helps you overall. Those images aren’t there just to be pretty. There is a lot of technical data behind that. Another great piece of advice would be to use links behind those images. People love to click images for whatever reason. Tell me if I am wrong - I know I’m not. The links could go to an external link, to somewhere that is relevant - it has to be relevant, don’t just send them to any link anywhere - or it could go somewhere on your site. I mean if it’s a gallery and I click on a photo it could go to your get a quote page. Simple things like that can really up your SEO value. Be cognizant of that fact. Another great thing is called backlinking. Now, there are services that do this for you that can really shake you and your SEO value so be very careful about that. But Posirank is a great backlinking service that I would look into. But you can also do it yourself in a kind of grassroots effort. All backlinking really is is asking someone else to link to your website. Some of the greatest in terms of domain authority which backlinking helps, let me roll that back and explain a little bit about domain authority. Domain authority is how trustworthy your website is to a search engine. Domain authority is very important and it is determined by two things: how long has that domain been active and how many backlinks do you have? And how often do you update and everything else I have gone over, but those two things are really what is important. So how do you become trustworthy? You get backlinks and you maintain an active website. How do you get backlinks? You ask for them. Some of the greatest websites that have the biggest domain authority on the internet are news websites. Why is that? They keep up a good website, they update all of the time, and people link to them all of the time. So that’s why when you search for anything online, generally speaking you are going to get news ones first. Backlinking, all you would do is if you mention a festival going on in your city because you are servicing it for I don’t know, whether it is guests or VIPs, get that festival to link to your website on their website. That will increase your domain authority. That is backlinking and that is as simple as I can make it. If you have any questions about that or anything that I have gone over today, I am more than happy to answer any questions in the comments.